You’re the heroes that make this program so vibrant, fun, and successful! Thank you to those that have donated recently and are helping us reach our goal! We are beyond grateful to all of you who have made our dreams possible. One of the projects we have completed as part of this campaign is our beautiful observation room looking into the indoor arena. We planned to provide a warm, comfortable place for parents and caregivers to watch our riders during their lessons. But it has become even more than that! We are able to host clinics, meetings, and even fundraising events in the room! 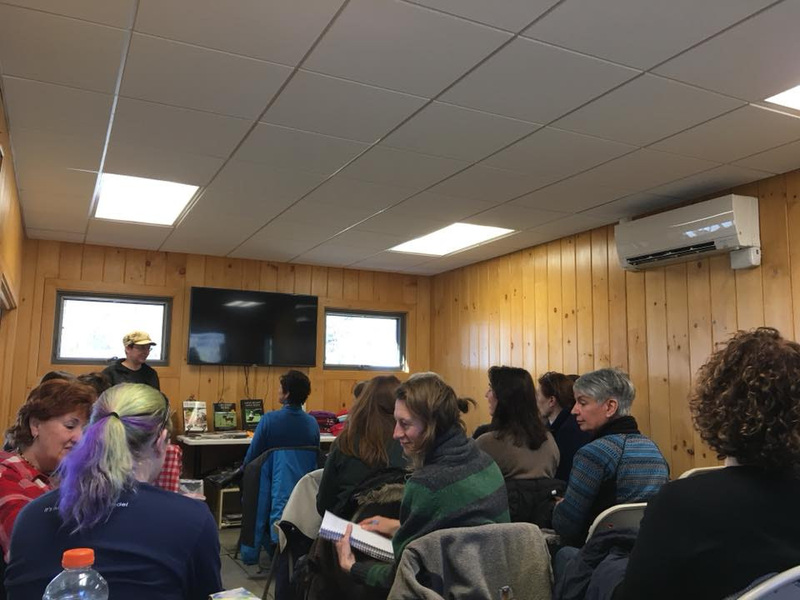 This past June we even hosted the PATH International Region 1 Conference here at the farm. Check out the photos showing some of the many activities we have hosted in this beautiful space. We’ve raised an additional $19,500 this past week thanks to your help! We hope to reach our goal by November 15th. The committee is working hard to raise the additional funds to reach our goal and making our best effort to reach everyone we can! 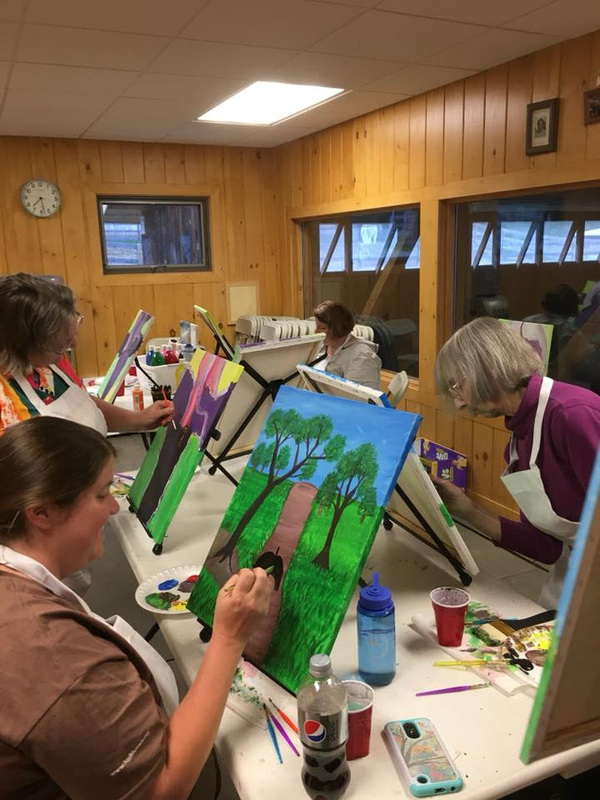 Hosting a Paint Night fundraiser! One Response to Countdown to the Close of the “Buy The Farm” Campaign! A fantastic use of the space.